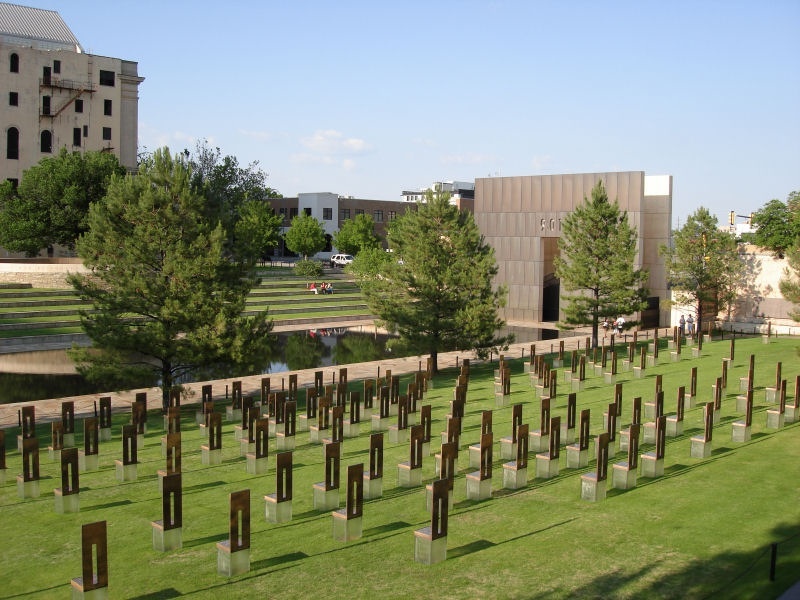 In 1995 when the Alfred P. Murrah Federal Building in Oklahoma City was bombed by Timothy McVeigh, news reporters talked as much about the tragedy as they did about the heart of the Oklahoma people. Remember? It seemed like for every sorrow-filled story, the networks supplied at least one testimony of how wonderful Oklahomans are. And you know what? They spoke the truth. Back then, I had just moved back to NC from OK. My husband and I thought we were coming back to good ole' Dixieland where ever'body loved ever'body and good manners were mandated by state law. But when we arrived in Raleigh, NC we were met not with the hospitality we expected, but with angry drivers hunkered down behind their steering wheels. These Southern belles and their blueblood beaus were more than a little ticked off. Pretty soon, we knew why: there’s just not enough room for everybody, what with all the orange cones & “Lane Closed Ahead” signs. No kidding, when we moved back to North Carolina in 1992, it seemed like every single road in the state was under construction. And good manners? Fahgetaboutit! If a motorist had the right of way, you could bet your sweet ice tea they weren't giving up their spot just to let you over—particularly if you were sporting an Oklahoma license plate. Heck, there wadn't enough room for the locals, much less a bunch of foreigners . . . .
Back in Oklahoma, there was plenty of room. I commuted to Chickasha from Oklahoma City. I travelled mostly on a turnpike and on many mornings it was me and the wide open road. After paying my toll, I rarely saw another human being until the city limits of Chickasha 40 miles away (yet so very many dead aardvarks along the way—go figure). By then, I was as happy to see another car as the other driver was. We’d wave at each other as if we were headed to the family reunion. In Oklahoma, there’s elbow room a plenty. Okies can twirl their two-steppin’ skirts and kick up their cowboy boots without ever touching anybody. They can stand on the edge of Oklahoma City facing west and point to Yukon 20 miles away. In Oklahoma, folks got space. Lots and lots of space. I think that’s one of the reasons Okies are so warm and friendly: ‘cause they can breathe. Sometimes, I feel like I'm being strangled by all my doing, thinking and being. I feel like my schedule is caving in on itself and that I'm at risk of being trapped in the rubble. No doubt about it, I need a little space: space to inhale and then exhale; space to relax; space to realize how much love there is in the world and how little everything else matters. So I think I'll take a moment right now. I'll breathe in and breathe out. I'll pay attention, but not too much. I'll breathe again. Ahhh. Space. It can sure smell sweet. I grew up in Oklahoma; in El Reno, 30 miles West of OKC. Ironically, El Reno was were they kept McVeigh in the federal prison there. I never knew you lived in OK! It's been 18 years and I still cannot bring myself to go to the memorial. I was fortunate not to know anyone who died, but knew many who worked in the area. But the depth of sorrow that I still feel has kept me from going. Maybe I'll go this summer, though.